Screen Room Installation and Repair - ARM Aluminum Inc | A.R.M. Aluminum Inc. Adding a screen room to any existing living space is a great way to increase its functionality. Not only will an aluminum screen room help protect your outdoor addition and outdoor belongings, but it can increase the value of your home and give you more relaxing comfort. Swimming pools, concrete slabs, plants, and outdoor furniture will last longer when it is protected with high quality aluminum screening. 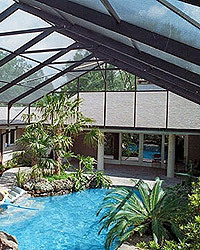 If you are in the market for an outdoor screen room, the professional screen room experts at A.R.M Aluminum can help. We have over 60 years combined experience in screened rooms and screen enclosures all backed by our 3 year warranty for peace of mind. Increasing your outdoor living space’s functionality is easy with our aluminum screen rooms. 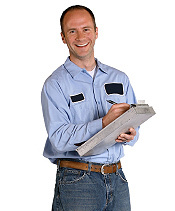 As a licensed and insured screen room company, you can be sure you get the best screen room service available in the Tampa area. Our custom aluminum screen enclosures and screened patio designs have been our specialty for more than 25 years and still going strong. In meeting with our trained screen room contractors, you will begin to see your screen room design come to life. Learn why we are the area’s premier screened-in porch, patio enclosures, and aluminum screen room enclosures expert ready to fulfill all your porch screening needs.